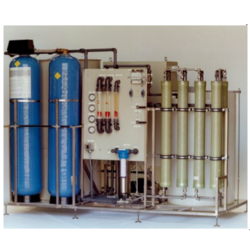 Our range of products include sewage treatment plants, water purifier and treatment plants, reverse osmosis plants, water treatment plants and effluent treatment plants. Sewage Treatment Plants are recognized in the market for providing wide applications in areas like residential sectors, small as well as large-scale industries other work areas. Providing superior treatment for sewage, these plants are well recognized for providing optimum sewage treatment, corrosion resistance finishes as well as complete ease of installation. These find high usage in industrial areas, residential sectors as well as in other suitable places and provide optimum sewage treatment, ease of installation & operations as well as require low maintenance. These are used for bringing the reduction in pollution load on sewerage system and for reducing water demand through recirculation of treated sewage. These are also in compliance with regulatory standards and function as all-in-one single tank packaged sewage treatment plant with modular designs, compact finish and with non-corrosive components that provide for long lasting usage. These plants also require minimal land for installation, need little power and chemical support and are also easy to install and maintain. 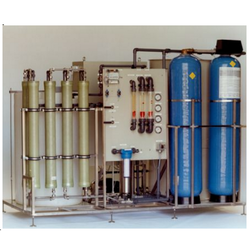 We are one of the renowned manufacturer and supplier of a qualitative range of Water Purifier & Treatment Plants that include Water Treatment Plant, Water Filtration Plants, Swimming Pool Filters, Pressure Transmitter and Carbonation Soda Plant. These are available in various specifications and are widely demanded in several parts of the country. 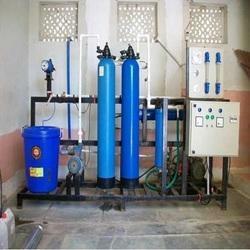 These Water Purifier & Treatment Plants are manufactured using excellent quality of raw material that is procured from quality driven & trusted vendors. Water Treatment Plants meet the demands of water treatment and purification as per the specific process requirements of small as well as large-scale production sectors. Here, our expertise lies in making these available in different operating specifications as well as in efficient performance standards that make these preferred choices of the customers. Also recognized for the durable fabricated finish, these Water Treatment Plants are also made to undergo extensive checks at each production levels to assure in them superior performance support as well as reliable performance standards. We can also offer these with customized changes in specifications so as to match up with the specific demands of end processes being carried out at client's end. 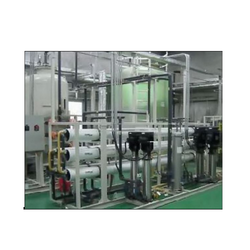 Effluent Treatment Plants are backed by latest technology support that makes these suitable for application involving water purification in different industry sectors. Here, we ensure these are constructed as per approval from Government, WHO as well as industry standards. 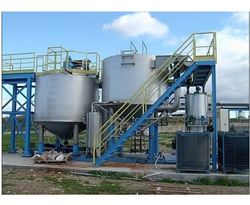 With our expertise in offering a complete range of Effluent Treatment Plants to different industry sectors, these are basically used for achieving effluent recirculation or zero discharge of water.